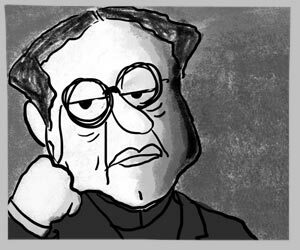 This comic celebrates the birthday of the noted satirist Harishankar Parsai – 22nd August. 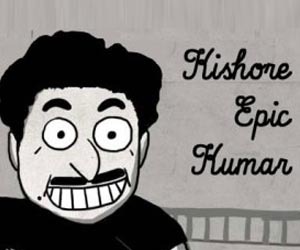 In the same month falls birthday of another idol of mine – Kishore Epic Kumar. Me translate funny one day – is an interesting read on the troubles of translating funny. Mansi, a friend of mine and proud B.Lit graduate helped me translate the original text faithfully. Thank you Mansi! I wanted to do more research on Parsai and was speaking to his relatives for more information, I found their contact information from good people that run the biggest HARISHANKAR PARSAI fan page on facebook. 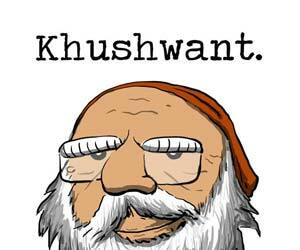 Do you know more funny authors in languages OTHER THAN English and Hindi? please share their names in comments. I would love to explore more funny. And maybe try and translate them. Hope this comic sparks your interest in Parsai. Want to read some of his stories for yourself? English: On Scribd, There is a translation of INSPECTOR MATADIN ON THE MOON and other stories. Hindi: Listed some books below. All Parsai books are a collection of short essays and stories. Hindi literature, as is, very cheap. thank you for introducing me to his work. I am going through your other work. I am finding it very exciting, some of it bordering on genius. keep going.